For many people, patent computer operating systems like Windows and Mac OS are not quite liberal with their operations and functions.While the Mac OS is restricted to Apple computers, Windows operating systems, to fuel Microsoft’s capitalistic agenda, are found to be the default operating systems of most computers. The constraints found in both of these are realized when one comes across the brilliant open-source software that is Linux. In addition to being absolutely free, Linux offers a wide range of distributions for varying needs and can be modified according to personal preferences. If that’s not enough, there’s always Tux, the cute penguin mascot, for aesthetic appeal! 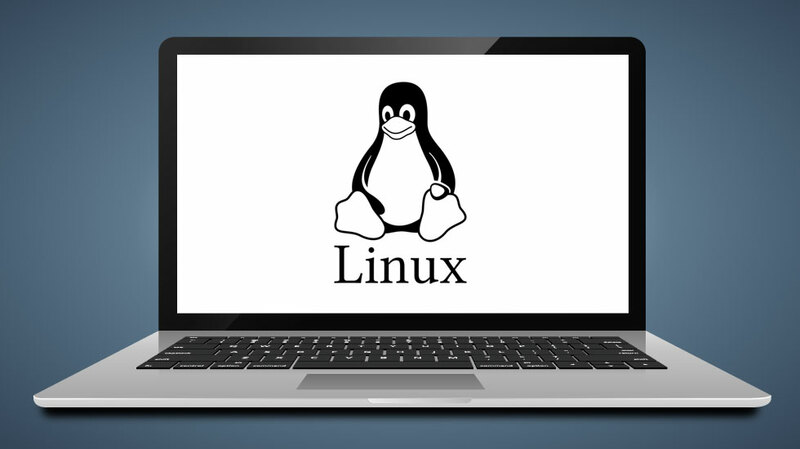 Note: In market there are limited laptops which natively supports Linux, however there are some systems which you will find with Linux (Free-DOS) and some system comes with Windows Pre-installed but they support Linux too. Below is a list of 10 laptops that work best with Linux to help you get that long-sought-after freedom. Undoubtedly the crème de la crème, the Dell XPS 13 Developer Edition is more than just its premium chassis, vivid screen, and dependable battery life. Its relationship with coders and developers are forged by its superior performance and the fact that it runs on Ubuntu Linux 14.04. The newer version, however, comes with Intel’s Kaby Lake CPU, Ubuntu 16.04, and the 4.4 kernel. This XPS 13 banks on an Intel i7-7500U with 8 gigabytes of RAM. While the newer version is weaker than the older version in terms of graphics, you should probably keep in mind that the XPS 13 is a performance based laptop and hardly a gaming vessel. Decoding videos, compressing files, and encoding files are done with remarkable efficiency and without lag. For every Linux enthusiast who has had a hard time trying to find supported hardware, this XPS 13 is a delight to work with. The 4th Generation ThinkPad X1 Carbon Touch maintains a careful balance between portability and usability. With one of the sharpest screens in this price segment and a battery life of over 9 hours, the ThinkPad X1 Carbon redefines ultrabook standards. Powered by an Intel Core i5-6300U and 8 gigabytes of fixed RAM, the laptop becomes a reliable assistant and does not need to be lugged around. Weighing about 2.6 pounds, long hours at office or home are no longer stressful and allow one-handed usage. Lighter than the Dell XPS 13 and the Macbook Air, the ThinkPad X1 Carbon flaunts the same aesthetic appearance of its predecessors. The 13-inch screen, however, allows a resolution of 2560 x 1460 pixels. The efficacy of the Intel HD Graphics 4400 in terms of handling basic games at decent frame rates proves that this model is more than meets the eye. The Lenovo ThinkPad models are widely known to be rugged, resistant, and sturdy. This particular model is substantially hailed as the perfect business laptop. The T440s packs a 14-inch 1080p touch screen, long battery life, strong performance, and one of the best keyboards, but manages to weigh about 3.8 pounds nevertheless. This machine flaunts a black casing with a carbon fiber lid – as opposed to the previous premium rubberized lids – and a magnesium chassis. While robust hinges let the screen tilt 180 degrees, an integrated roll cage takes care of falls, and the waterproof keyboard makes the awkwardly placed cup of coffee less threatening. With an Intel Core i5 4200-U clocked at 1.6 GHz, 8GB (upgradable to 12 GB ) of RAM, and a 256 GB hard disk, this laptop might be a tad bit heavier, but it promises to be a survivor. Brighter than its competitors and extremely responsive to gestures, the Lenovo ThinkPad T440s is a smart choice. Once again, System76 has your concerns sorted out. Linux devoted hardware makers like ZaReason, Purism, and System76 sell machines with Linux pre-installed. The Lemur comes with Ubuntu 16.04 or Ubuntu 14.04.4. It even lets a dedicated Ubuntu key sit in place of the Windows button. While this model comes with the default Intel Core i3-5010U with a clock speed of 2.1 GHz, you might want to consider the slightly pricier Core i7 that can work wonders with increased RAM that can be extended to 16 GB. The default 500 GB hard drive with 7200 RPM can be upgraded to an SSD; it even allows you to have a secondary hard drive. The Lemur might be the most inexpensive System76 laptop at the base configuration, but it is highly configurable – take the removable four-cell battery for example. The 14.1 inch 1920 x 1080p screen, alongside the Intel 520 graphics card, allow sharp colours and a vivid display. The Lenovo Yoga 900, on the other hand, prefers power to aesthetic appeal. It might be 18 percent thicker than the Yoga 3 Pro, but it is still in a 2-in-1 convertible laptop with Lenovo’s innovative watchband hinge. This hybrid takes advantage of the extra space to hold a bigger battery with necessary cooling components along with a more powerful Intel Core i7 clocked at 2.2 GHz. In spite of its increased size, the Yoga 900 is still the thinnest Core laptop in the market. Since the watchband hinge, with its 813 individual pieces, makes the Yoga 900 a reversible laptop, you can flaunt the 13.3-inch touch screen display with pomp. Rest assured the 3200×1800 IPS touch screen is sure to make heads turn. The magnesium panels line the top and the bottom while the faux-leather plastic covers the deck and the palm rest. The Yoga 900 is available in 256 GB SSD and 512 GB SSD versions with a constant DDR3 memory of 16 GB. A couple of USB 3.0 Type A ports, plus another USB 2.0 charging port, on SD/MMC card reading slot, a dual analog sound jack, plus one USB-C Port line the side panels. Focussed on work-oriented tasks like word processing and spreadsheet editing, the Yoga 900 is a great hybrid device to bring home this year. The Successor to the Lenovo ThinkPad W550s, the P50s is more about mobility than it is about performance. Unlike the ThinkPad50 and P70, this model uses the same old chassis construction. The P50s, however, is about 600 grams lighter than each of them. Despite being a relatively low-end device, the P50s is powered by a Core i7-6500U processor that makes all applications operate effortlessly. 500 gigabytes of 7200 RPM HDD memory take care of space with speed. A dedicated 2048MB Quadro M500M GPU exists to back all your casual gaming cravings. It is the 3K IPS display, at this price, that takes the cake. The machine runs on 8 Gigabytes of RAM (DDR3), but performance, again, is not its forte. Weighing in at about 5 pounds, the P50s considers portability its first priority. In terms of display, this model is rather impressive. The 15.5-inch screen has a resolution of 2880 x 1620 pixels with a pixel density of 213 pixels per inch. The P50s is known to withstand humidity, shocks, drops, and extreme temperatures. This, in addition to the waterproof keyboard, makes this laptop the busy person’s best playmate. This is the bit where it gets interesting. With an open-source operating system as the preference, the inclination for computing without constraints becomes evident. The Novena laptop is a manifestation of the desire to dismantle all conventional boundaries – literally, to an extent. The first open source laptop, the computer is made almost entirely of open source hardware. With the option to delve into the schematics and inspect the hardware for bugs and restrictions imposed by the government, this is a hacker’s dream come true. Packed with a Cortex A9 processor, 4 GB of RAM, a 4 GB microSD card with Debian on-board, this laptop is a fairly decent performance executor. If you want something more polished, the “All-in-One Desktop” version costs $1,195 which brings an aluminium enclosure and a 13-inch 1080p display. The ‘laptop model’, for the same price, offers a battery controller mode, a 3000 mAh battery pack, and a 240 GB SSD. The package does not include the mouse and the keyboard. The signature ‘Heirloom’ model integrates a Bluetooth keyboard and comes in a wooden enclosure. This model clearly isn’t made for consumer home use – it is, as Novena case, more like ‘lab equipment’ for hardware enthusiasts. If you’re an average performance freak, chances are that you’re tired of carrying that heavy laptop everywhere. Fret not! With incredibly sleek and lightweight ATIV Book 9, Samsung comes to the rescue. Most people are wary of Samsung when it comes to computing equipment, but don’t be misled – this laptop knows exactly how important it is to boost ergonomics without compromising performance. The 2014 Edition comes in two versions – an Intel Core i5 version which is clocked to 1.6 GHz and an Intel Core i7 version clocked to 1.8 GHz. 8 gigabytes of RAM power a lightweight 250 GB solid state hard drive. And wait for it – all of this weighs less than 4 pounds. You heard that right! As for visuals, this laptop flaunts a 15.6 inch-1080p touch screen display and an Intel HD Graphics 4400 graphics card. With its tactile efficiency, you can never go wrong with the interactive features of Microsoft Windows 8.1. FLAC playback compatibility, along with a lossless audio player, delivers music and minimises the brunt of audio compression. 8.8 hours of guaranteed battery life paves the way for ceaseless company through those long presentations. Equipped with rubberized carbon fibre for the inside of the device and sturdy aluminium for the exterior, the Dell 5510 feels nice to hold and carry around. Incredible viewing angles, along with the 1080p matte Infinity Edge display, promise fine sessions of watching high definition videos. The Dell M5510 is powered by an Intel i7 clocked to 2.4 GHz and runs on 16 GBs of RAM. While the display has a thickness of 6mm, the base of the unit measures about 15mm, thereby giving you a slim yet mean machine. A 250 GB hard drive means that spending a little more for an external hard drive will be inevitable. As for your gaming concerns, the 5510 comes with an inbuilt Nvidia Quadro M1000M – it might not be the best bet for gaming, but for Linux users, gaming is mostly a secondary concern so we’re guessing that it shouldn’t be a problem. For your daily activities and workstation purposes, however, this laptop won’t let you down. System76, a company that exclusively releases Ubuntu laptops and desktops, has made a mark as far as Linux-based gaming laptops are concerned. When users think of gaming, consumers usually consider Windows operating systems; thanks to Steam, however, Linux-based operating systems are now a feasible option for gamers. Weighing about 5.5 pounds, the System76 Oryx Pro runs on a 6th gen i7 and 8 gigabytes of DDR4 RAM. If you need an extra surge in case your frame rates are not up to the mark for that latest video game, you can always add another 8 GB of RAM. Featuring a beastly Nvidia GTX 1060/1070(The GTX 1070 is only an extra $289 away), the laptop features Gsync technology for the display. The Ubuntu 6.4 allows seamless user experience which is only made better by a 250GB SSD+. The dedicated SSD for the OS helps minimise the boot time, and with an additional allowance of two SSDs or HDDs, System76 refuses to give you a reason to complain. Furthermore, 4K video editing is accomplished almost effortlessly. While the basic Oryx Pro is a pretty good pick, you may consider shelling out a bit more and bringing home the 17.3″ Matte IPS Display. Although Linux users have a fraternity of their own, away from the constrained patrons of Windows and MacOS, there are factors which come into play when one contemplates buying a laptop. What are those factors for you? Would you rather have the gaming prowess of the System 76 Oryx Pro? Do you have a penchant for flexible screens? Does the possibility of running Linux on an exclusive Developer Edition make you curious? Or would you rather be unconventional and have a piece of ‘lab equipment’ to be as much in control as is possible? Whatever your inclinations may be, this list sums up the top 10 laptops that work best with the open-source operating system.